I seriously cannot get enought of Kantha quilts! Click on the image below to read my article on Houzz – 15 Reasons to Get Addicted to Kantha Quilts. It’s a great read for anyone with a few blankets or for those looking for reasons to justify purchasing a few more. 🙂 Enjoy! Wow! This one got people talking 🙂 Would you use colour-coding as an organisational tool in your home? Click on the image to read my ideas for organising your house on Houzz Australia. 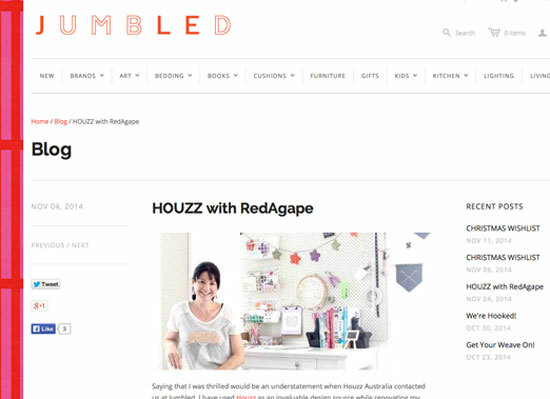 Check out my article on Houzz Australia, for my top tips on making monotone interiors beautiful and interesting. Just click on the image below.